Peter Sullivan practices in trial and litigation of complex professional liability and commercial litigation cases, including actions against accountants and attorneys, director and officer liability and coverage cases, consumer class action cases and breach of contract cases. Mr. Sullivan also focuses on lender liability suits, real estate litigation, UCC litigation, state and federal securities law claims, RICO claims, business tort litigation and common law fraud actions. Mr. Sullivan joined Hinshaw & Culbertson LLP in May 1983. He is a member of the firm's Executive Committee and its Management Committee. 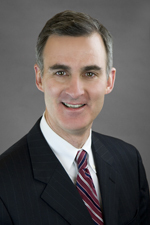 Mr. Sullivan is a past leader of the firm’s Business Litigation Department and a past regional director for the firm. "Lessons from the Professional Liability Front: Claims CAN Happen to You," ICPAS Midwest Accounting Show, Rosemont, Illinois, August 23, 2016. "Litigation—Surviving in Federal Court," Legal Malpractice & Risk Management Conference, Chicago, Illinois, March 2013. "What You Need to Know About the Impact of ABA Model Rule 1.18 on Prospective Client Conflicts, and an Update on Former Client Conflicts," Legal Malpractice & Risk Management Conference, Chicago, Illinois, March 2013. "Ethical and Malpractice Concerns in Estate Planning Engagements," paper and presentation, 2012 Illinois CPA Society Estate & Gift Tax Conference, Chicago, Illinois, May 2012. "Significant Cases in Lawyers’ Professional Liability," American Bar Association 2007 National Legal Malpractice Conference, Washington, D.C., April 2007. "Potential Defenses in Claims Against Accountants," ABA Torts and Insurance Practice Section, Professionals', Officers' & Directors' Liability Committee, 2001. "Bankruptcy & Accountants' Malpractice Claims," outline and presentation to CNA, 2001. "Preventing Malpractice," paper and speech, CNA Accountants' Defense Network Seminar, 1997. "Recent Developments on The Preemptive Effect of Section 155 of The Illinois Insurance Code," paper, Chicago Surety Claims Association, 1993. "Resolving Disputes Outside of Litigation Through Arbitration or Mediation," Hinshaw & Culbertson LLP Insurer Symposium, 1992. "IICLE, 2001 Supplement to Chapter on Accountants' Liability," co-author, "Potential Defenses In Claims Against Accountants Arising Out of Embezzlements," paper and speech, ADN Annual Seminar, 2000. "Liability of Accountants in Tax Engagements," paper and speech, American Express, 2000. "Fair Debt Collection Practices Act (FDCPA)," co-author, outline and speech, Westport Ins. Co., April 2000. "Rules and Standards for Expert Witness Engagements," outline and speech, Crowe Chizek CPE Program on Litigation Services, 1999. "CPA Liability for Elder Care Services," co-author, 1999. "Chapter on Liability of Accountants," IICLE, 1997. "Liability of Accountants on Tax Engagements," paper and presentation, Accounting Group International, 1997. "Insurance Brokers – Are they Agents of the Insurer or the Insured, or Both?" Hinshaw & Culbertson LLP Insurer Symposium, paper and speech, 1995. "Accountant’s Liability," CPA Roundtable, 1995. "Liability of Accountants on Tax Engagements," speech and paper, Annual Tax Conference, Illinois CPA Society, 1995. "Liability of Accountants - Legal Update," speech and paper, Risk Management Conference, Illinois CPA Society, 1995. "Fidelity Bond Coverage for an Insured’s Legal Liability to a Third Party," paper, Chicago Surety Claims Association, 1994. "What Happens When the Suit Comes In?" Hinshaw & Culbertson LLP Insurer Symposium, Directors & Officers, 1994. "What to Expect from Your D&O Policy," co-author, BCS Professional Liability Conference, 1993. "Defense of Claims Against Directors and Officers," co-author, DRI Symposium on Litigation involving Accountants, Directors and Officers and Failed Financial Institutions, 1992. "Accountants," co-author, IICLE, Professional Liability, 1991. "Subrogation Against Accountants," DRI Publication, 1991. "General Principles of Subrogation by Fidelity Insurers," DRI Publication, 1991. "Subrogation Rights of Fidelity Carriers," DRI Publication, 1990. "Dealing with the Bankrupt Principal," co-author, paper, Eagle Lodge Bond Claims Seminar, September 1990. "Subrogation Rights of Fidelity Carriers Against Directors and Officers and Other Financial Institutions," co-author, paper, Annual Meeting of IADC, New York, New York, 1989. "Defending RICO claims," co-author, Defense Research Institute Journal, November 1986. "Accountant’s Malpractice Supplement," co-author, IICLE, 1985. "Use of RICO in Subrogation Claims," co-author, Defense Research Institute Journal, 1985.